User behavior differs greatly between websites. We wanted some hard data on what kind of websites get the most page views out of their visitors, and examined the top 1,000 websites on the Internet to find out. What we specifically looked at was monthly page views per unique visitor. We calculated this number using traffic data from Google Ad Planner, then sorted the list by that number to create a “page views per visitor” top list. The results, although not entirely unexpected, are interesting. The eight top results are all social networks, and that makes sense. Few sites encourage users to click around more inside the site than social networks, looking at people’s posts, profiles, images, etc. We’ve seen before that Facebook is very good at generating many pageviews per unique visitor. However, according to the Ad Planner data, Orkut’s Brazilian site is even better at this. It has 61% more page views per visitor than the already impressive number from Facebook. This only goes to show how immensely popular Orkut is in Brazil, because the regular (global) Orkut.com doesn’t get anywhere near as many page views per visitor (it gets 142 monthly page views per visitor, less than one twelfth of Orkut Brazil). This also hints that there are other factors at play here than pure site design, for example demographics and market penetration. Note that this statistic simply shows which sites, among the top 1,000 sites on the Internet, get the most page views out of each user. Even though Facebook didn’t rank the highest in terms of page views per visitor, it ends up dominating in terms of total page views each month since it has so many visitors. And when we say dominates, we mean dominates. Facebook has an insanely high number of monthly page views: 630 billion. 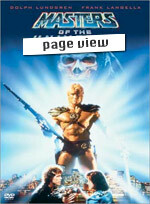 Using page views per visitor as a measure of site stickiness may not always be fair, but it is definitely ONE measure. And most sites aim to be sticky, so getting a lot of page views from each user normally means you’re doing something right. There is also the advertising angle to consider. Many of these sites serve ads to make money, and the more page views, the more opportunities to show those ads. Does this mean that social networks are the ideal advertising-driven websites? They have more info about their users than most other sites, and they have a highly addictive type of service that encourages many page views per user. Our guess is that it’s a formula that’s hard to beat. About the survey: We used Google Ad Planner Top 1000 as our data source. The site classifications are from Adplanner, with one exception: We took the liberty of changing the categorization of Twitter to Social Network (from Email & Messaging). Is Mr. Uptime ever going to be updated for FireFox 3.6 and higher? @ID: We’ll update it soon. Just need to check a few dependencies.